The 2nd AI for Good Global Summit at ITU Headquarters in Geneva, 15-17 May 2018, will take action to ensure that Artificial Intelligence (AI) accelerates progress towards the United Nations’ Sustainable Development Goals. The summit is organized by ITU in partnership with the XPRIZE Foundation, the Association for Computing Machinery (ACM) and sister United Nations agencies including UNESCO, UNICEF, UNIDO, Global Pulse, UNICRI, UNODA, UNIDIR and UNODC. The AI for Good series is the leading United Nations platform for dialogue on AI. The action-oriented 2018 summit will identify practical applications of AI and supporting strategies to improve the quality and sustainability of life on our planet. Learn more here. The Partnership on AI to Benefit People and Society (Partnership on AI) is a not-for-profit organization, founded by Amazon, Apple, Google/DeepMind, Facebook, IBM and Microsoft. Our goals are to study and formulate best practices on the development, testing, and fielding of AI technologies, advancing the public’s understanding of AI, to serve as an open platform for discussion and engagement about AI and its influences on people and society and identify and foster aspirational efforts in AI for socially beneficial purposes. We actively designed the Partnership on AI to bring together a diverse range of voices from for-profit and non-profit, all of whom share our belief in the tenets and are committed to collaboration and open dialogue on the many opportunities and rising challenges around AI. New partners include: AI Forum of New Zealand (AIFNZ), Allen Institute for Artificial Intelligence (AI2), Centre for Democracy & Tech (CDT), Centre for Internet and Society, India (CIS), Cogitai, Data & Society Research Institute (D&S), Digital Asia Hub, eBay, Electronic Freedom Foundation (EFF), Future of Humanity Institute (FHI), Future of Privacy Forum (FPF), Human Rights Watch (HRW), Intel, Leverhulme Centre for the Future of Intelligence (CFI), McKinsey & Company, SAP, Salesforce.com, Sony, UNICEF, Upturn, XPRIZE Foundation and Zalando. Our content is consistently unrivalled, thought provoking and timely while always aligned to the world arena. Our events are more than a strategic gathering of the economic, government and academic elite – they are unfailing fun. We chose the best venues, feature a fun line up of demos, workshops and music that results in two days of dynamic, whirlwind dialog, networking and collaboration. We create and organise globally renowned summits, workshops and dinners, bringing together the brightest minds in AI from both industry and academia. At each RE•WORK event, we combine the latest technological innovation with real-world applications and practical case studies. Showcasing the latest case-studies and technologies on Artificial Intelligence for business, 10,000+ attendees, 400+ speakers, and 200+ major technology partners convene at the ExCeL Exhibition Centre this June 13-14 for the Flagship AI Show of London Tech Week and world’s largest AI event for business. Find out more here. Based at Concordia University, District 3 is the largest and most diverse university-hosted innovation hub in Montreal. The organization works closely with the Montreal innovation ecosystem to ensure every innovator and entrepreneur has access to the resources they need to move from idea to impact with confidence. In 2016, District 3 was awarded the Startup Canada Entrepreneur Award for the Quebec region. IEEE Computer Society is the world’s leading membership organization for professionals in all aspects of modern computing—from cloud to big data, security to mobile, robotics to software defined systems, cybersecurity to IoT. A true community for technology leaders, the Computer Society provides resources to keep its members current in technology and moving forward in their professions—publications, a renowned digital library, a vast program of conferences, technical committees, and much more. The Computer Society also serves the profession at large through the establishment professional qualifications and certifications, training and education programs, events on leading-edge technologies, conference publishing, and a wealth of other services and programs focused on advancing the science and art of computing. More information on IEEE Computer Society can be found at www.computer.org. The Association for the Advancement of Artificial Intelligence (AAAI) is a nonprofit scientific society devoted to advancing the scientific understanding of the mechanisms underlying thought and intelligent behavior and their embodiment in machines. AAAI aims to promote research in, and responsible use of, artificial intelligence. AAAI also aims to increase public understanding of artificial intelligence, improve the teaching and training of AI practitioners, and provide guidance for research planners and funders concerning the importance and potential of current AI developments and future directions. Founded in 2013, Zetta Venture Partners is the first fund focused on intelligent enterprise software. That is, companies building software that learns from data to analyze, predict and prescribe outcomes. The firm leads or co-leads $1-5M funding rounds. Current portfolio companies include Appdiff, Clearbit, Domo, Domino Data Lab, EventBoard, Focal Systems, InsideSales, Kaggle, Lilt, Lucid Design Group and Tractable. Tech Coast Angels (TCA) is one of the largest and most active angel investor networks in the nation, and a leading source of funding for seed-stage and early-stage companies across all industries in Southern California. TCA members are accredited investors who collectively invest in startup companies in the range of $250k to $2M as a group. TCA is a catalyst in the growth of the thriving Southern California entrepreneurial ecosystem of innovation, funding mostly emerging technologies and life science companies. The most recent Halo Report rated TCA as #2 nationally in a number of funded deals. A recent analysis by CB Insights ranked TCA #1 out of 370 angel groups on “Network Centrality” and #5 overall in “Investor Mosaic.” Since its founding in 1997, TCA has invested over $176 million in more than 300 companies and has helped attract more than $1.5 billion in additional capital/follow-on rounds, mostly from venture capital firms. For more information, please visit www.techcoastangels.com. Crowdfunder is a leading equity crowdfunding platform for sourcing and funding early stage ventures with accredited & institutional investors online. Companies on Crowdfunder are typically early-stage startups, many of which are backed by leading Venture Capital firms and private investors. Our investor network of thousands of angels and institutions get direct access to public & private deals online. Get free access to private early-stage VC-backed startups on Crowdfunder. For more information, click here. Affectiva, an MIT Media Lab spin-off, is the pioneer in Emotion AI, the next frontier of artificial intelligence. Affectiva’s mission is to bring emotional intelligence to the digital world with emotion recognition technology that senses and analyzes facial expressions of emotion. Our patented software uses computer vision, deep learning and the world’s largest emotion database of 4.7 million faces analyzed in 75 countries. Affectiva’s SDKs and APIs enable developers to add emotion-sensing and analytics to their own apps, games, devices and digital experiences. Affectiva is used by more than 1,400 brands to gather insight and analytics in consumer emotional engagement. Hart is a medical software company founded in 2012 in Orange County, Calif. Hart empowers people to access and engage with their health so they can focus on what matters most to them. In HartOS the Hart team has built a bi-directional API platform capable of powering a family of industry-optimized applications, sophisticated plugins, and a consumer-facing health- and activity-tracking app. Capable of extracting and intelligently acting on health data from multiple electronic medical records (EMRs), HartOS makes it possible to rapidly merge and access information among hospitals and clinics. This results in simpler and more effective communication between patients and providers, as well as higher engagement rates than traditional portals. Health providers and businesses gain the ability to adapt Hart’s resources to their own unique needs or to apply Hart’s APIs to their own applications. On the other side of the Hart health equation, app users can combine daily activities and medical information, conveniently schedule appointments, message their doctor, view test results and vitals, and more. Hart’s ultimate mission is to build products that help people become more aware of their health and they achieve this by simplifying information, access and the ability to engage. Engine is a technology policy, research, and advocacy organization that bridges the gap between policymakers and startups, working with government and a community of high- technology, growth-oriented startups across the nation to support the development of entrepreneurship. Engine creates an environment where technological innovation and entrepreneurship thrive by providing knowledge about the startup economy and constructing smarter public policy. To that end, Engine conducts research, organizes events, and spearheads campaigns to educate elected officials, the entrepreneur community, and the general public on issues vital to fostering technological innovation. To learn more, visit http://engine.is. TOPBOTS is a leading research and strategy firm guiding Fortune 500 clients on Artificial Intelligence innovation. TOPBOTS educates business leaders on high-impact applications of modern machine learning and AI techniques, and helps leading organizations adopt and implement emerging technologies. TOPBOTS provides design, development, and infrastructure solutions for enterprise-scale machine learning systems, with a special focus on natural language processing and chatbots for customer experience automation. For more information visit www.topbots.com. Ocean Protocol Foundation aims to make data universally available for the benefit of humankind. The Foundation provides governance to build a thriving ecosystem for data sharing and sets guidance for technologies that can power a new data economy. The Ocean network is a decentralized data exchange protocol that enables the sharing of data while guaranteeing control, auditability, transparency and compliance for all actors. The network empowers developers and curators to create new and innovative data services, while protecting data owners. The Foundation is a non-profit entity based in Singapore. IFIP, the International Federation for Information Processing, is the global professional federation of societies and associations for people working in Information and Communications Technologies and Sciences. 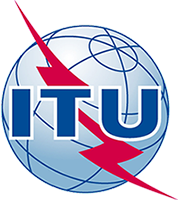 Established under the auspices of UNESCO in 1960 and recognized by the United Nations, IFIP represents ICT professional associations from more than 50 countries and regions with a total membership of over half a million. It also brings together more than 3,500 scientists from industry and academia, organizing them into over 100 Working Groups and 13 Technical Committees to conduct research, develop standards and promote information sharing. Based in Austria, IFIP organizes and supports over 100 conferences each year, fostering the distribution of research and knowledge to academics and industry practitioners alike.